Today’s technology makes it possible for more people to work from home. Companies benefit from the reduced overhead, while individuals avoid the hassles of commuting and enjoy a more relaxed work environment. In addition, a person who works from home — either employed or self-employed — might be able to claim tax deductions for maintaining an office there. But simply working from home isn’t enough to make you eligible for the tax break. To qualify, you must meet these two IRS guidelines. Your home office can be a room in your house or a separate, detached structure, such as a garage or freestanding building on your property. But it must be used regularly and exclusively for business. In other words, you can’t simply set up a computer in a corner of your family room to occasionally print invoices, while the rest of the time, the kids use the computer for e-mailing and homework and your spouse uses it for family finances. The location where you meet with clients, customers, or patients. The place where you perform the management or administrative functions for your company. One word of caution: Your home office must be the only place you perform the management or administrative functions. If, for example, you have an office in your retail store where you sometimes do these tasks, but you often bring the work home and do it in the evening, you cannot claim a home office deduction. Although it is easier for self-employed individuals to deduct home office expenses, employees who work from a home office for the convenience of their employer might also be able to claim deductions. The rules that define what is “for the convenience of the employer” are not set in stone and therefore, can vary by circumstance. A qualifying situation could be where an employee must have an office to do his or her work, but the employer doesn’t have space to provide one. If you work from home simply because it’s easier for you, you probably do not qualify. Even if you meet the above requirements, employee home office deductions are unreimbursed employee business expenses and are therefore subject to the 2 percent of adjusted gross income rule, which makes it difficult for many employees to qualify for deductions. Whether you are employed or self-employed, the landscape of the business world is changing. 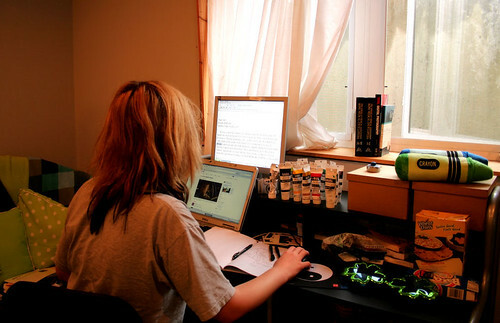 Working from home is becoming more attractive due to high overhead costs, long commutes and high driving expenses. Add to that the possibility of a tax break for maintaining a deductible home office and you’ve got a win/win situation.